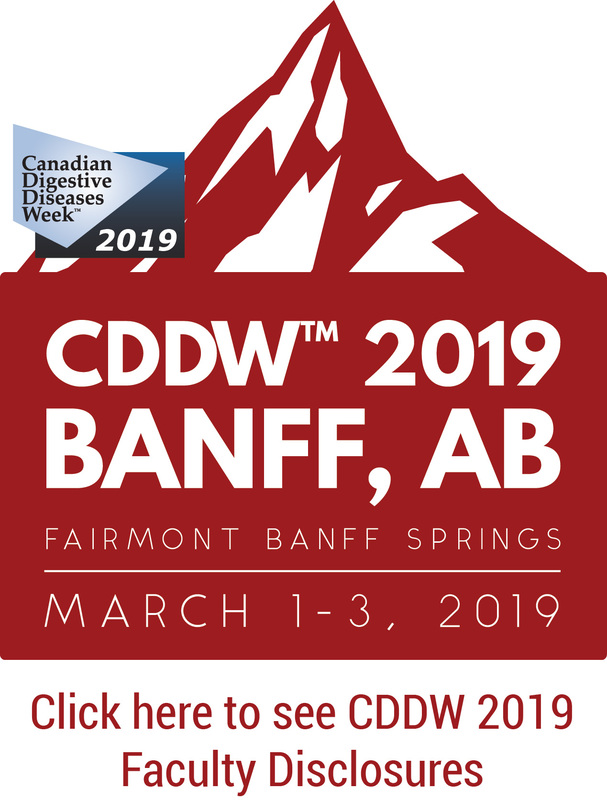 The Implementation Committee would like to thank all co-chairs and speakers for their role in making CDDW™ such a success. Below are some instructions to assist faculty. 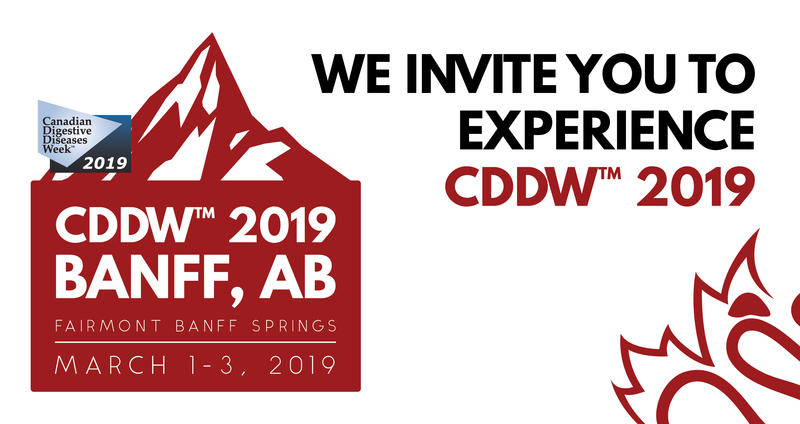 You may wish to use a CDDW™ 2019 Microsoft PowerPoint presentation template. 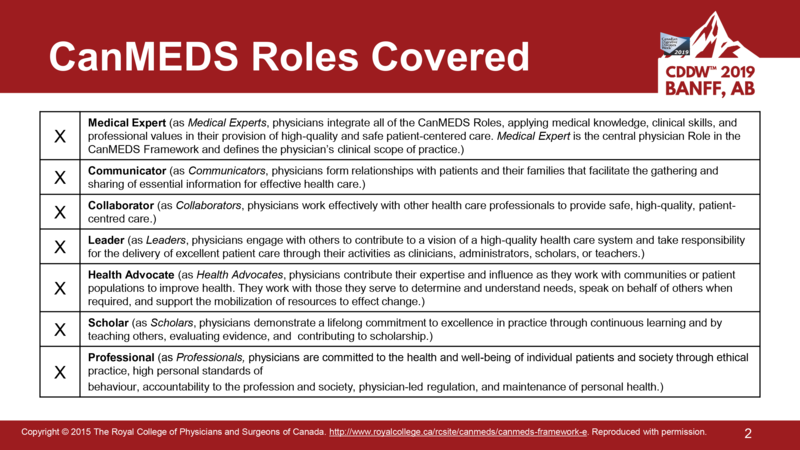 This template includes the CanMEDS Roles slide and disclosure slides for you to complete. Please note that you are to choose ONE of the two disclosure slides, not both. Speakers are responsible for bringing and loading in advance their presentations for the conference. Embedded video or audio files should be included as separate files. 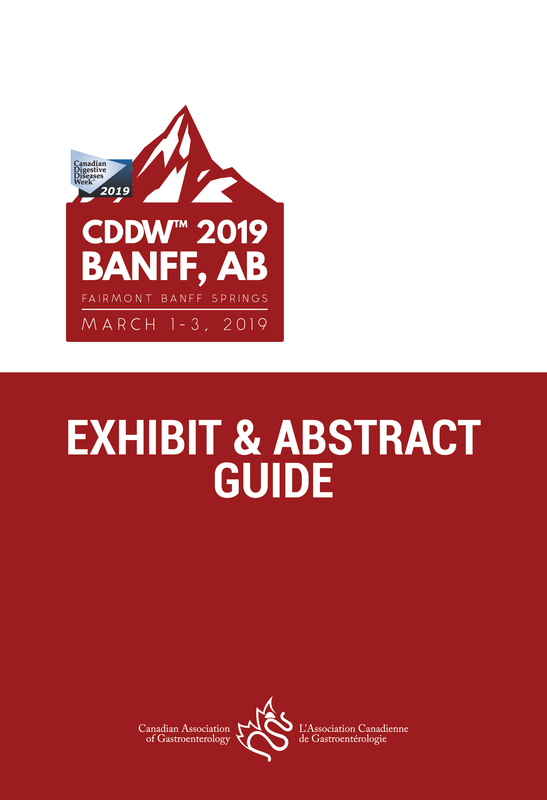 For all sessions held in the main plenary rooms speakers should present themselves at the Slide Preview Room at least four (4) hours before their presentation to have their final slides loaded. If your session is early in the morning please load your slides the day before. Slide loading is NOT allowed in the main plenary rooms. For Breakfasts and Small Groups, slides may be loaded in the room for the session ½ hour prior. All session rooms will be equipped with A/V - laptop, projector and screen. 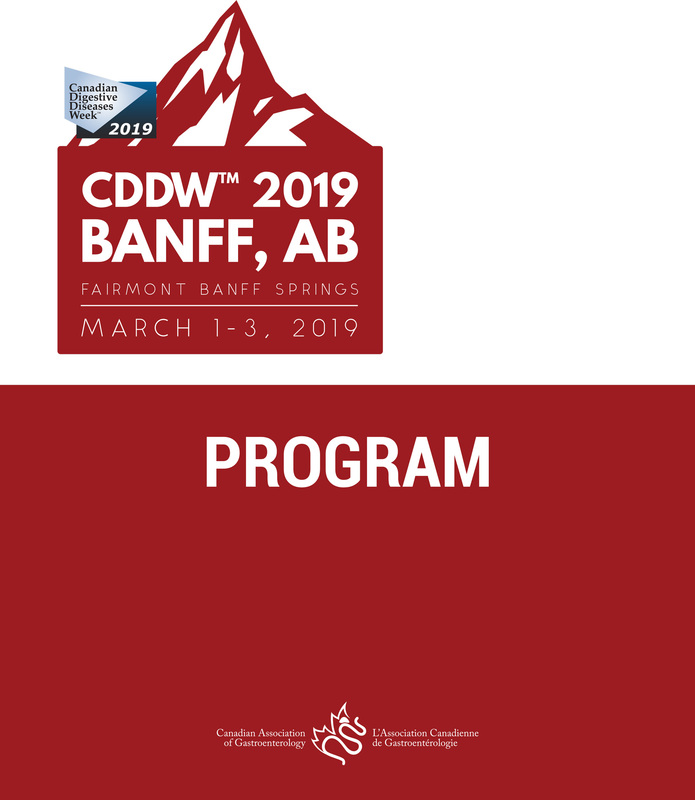 Speakers are reminded to keep to their allotted time to allow for subsequent speakers and questions, and to ensure that the session ends on schedule.